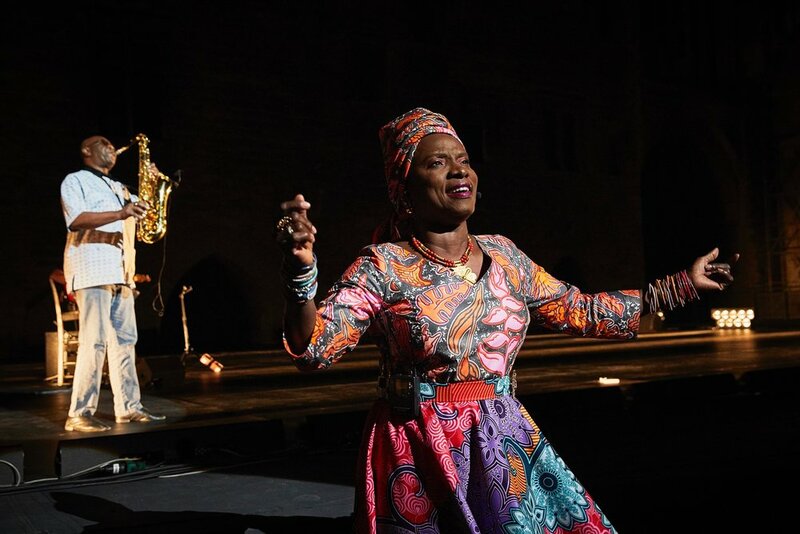 Hymn to the Woman and Africa, the show Femme Noire directed by Frédéric Maragnani exists by the will of Angélique Kidjo. The African diva wanted Senghor's poems to be heard in the Court of Honor of the Palace of the Popes. A symbolic place, where, since the creation of the festival in 1947, the only black author staged was Aimé Césaire whose Jacques Nichet created The Tragedy of King Christophe in 1996. It was therefore time to make these walls resound with the literature of another African author, a craftsman also of the negritude and adept of a poetry built on the hope of a civilization of the universal. 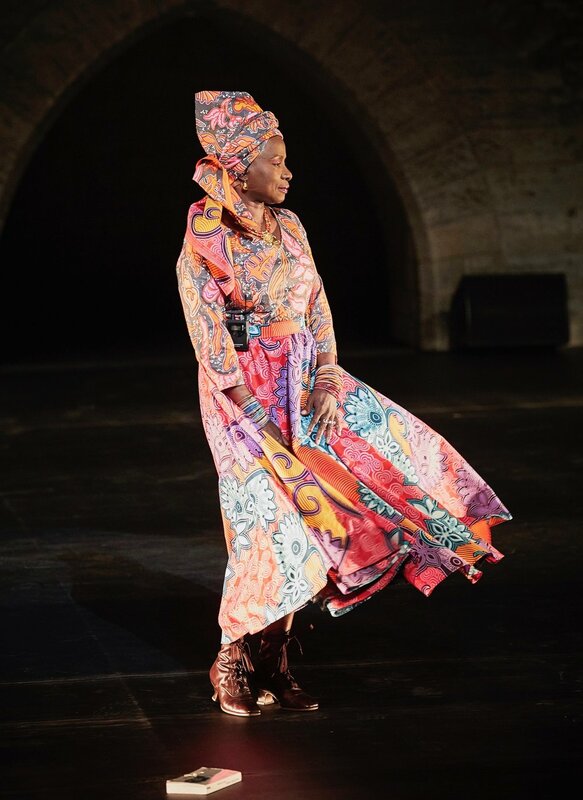 A lyrical poem and a very political text on colonization ensue, told by Isaach de Bankolé and punctuated by the magnetic songs of Angélique Kidjo in pink dress. This show brings together two texts of Senghor, Elegy for the Queen of Sheba, written at the end of his life, and Prayer of Peace written in 1947 for Georges Pompidou without knowing that both will become presidents of their respective countries . then rapper MHD for an electric duet. 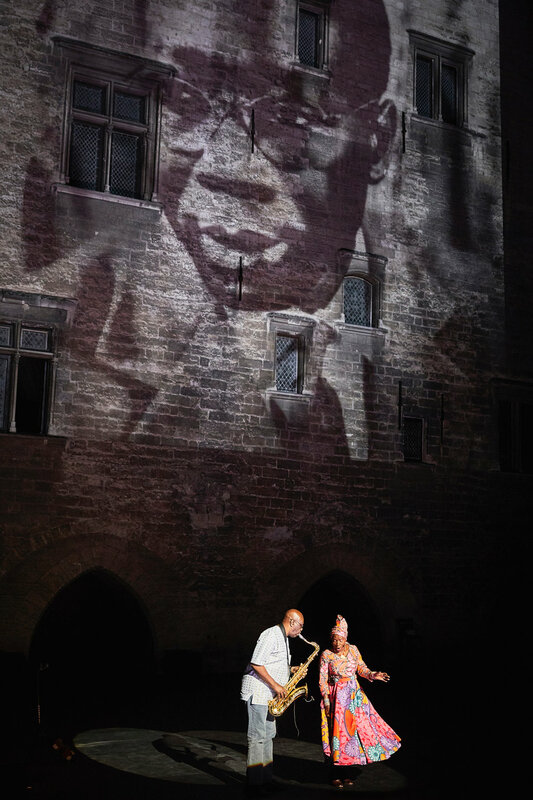 An hour and a half of show in the Avignon night that ends with the projection on the wall of the Palais des Papes of Senghor's immense black and white portrait and by a standing ovation of the two thousand spectators of the Court.